Its is coming up to that time of year again where I get really excited. Port Douglas Carnivale happens every year and 2015 marks the 21st anniversary of Carnivale . Carnivale is a festival celebrating our tropical paradise over an action packed ten days from 22nd-31st May. Perhaps the most exciting event for me is Yabusame on the Beach. Yabusame is a traditional form of Japanese archery that dates back to 1147. Yabusame was used for Samurai to train in archery skills as a martial art. The use of the three arrows by each archer and a small target was a way of practising accuracy for exploiting the chink in the armour of an opponent. Samurai armour had a very small gap between the chin and the chest, and Yabusame was a training method to maximise lethal accuracy of the opposing archers. 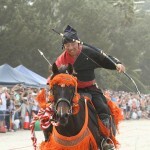 A Yabusame archer gallops down a 255-meter-long track controlling the horse with seat and leg as the archer needs both hands to draw and shoot the bow. As they approach the target, they bring the bow up, draw the arrow past the ear before letting the arrow fly with a shout of In-Yo-In-Yo (darkness and light). Each archer looses three arrows in quick succession. Held at the northern end of Four Mile Beach in Port Douglas, Yabusame is a world class event with International teams competing. 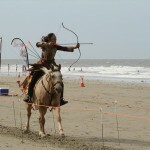 Four Mile Beach is the perfect venue for the Yabusame competition as the flat hard sands and length of the beach are perfect for the horses and archers. The Yabusame on Four Mile Beach will have a shorter course of 150 meters. Entrants from Japan, Malaysia, USA and Australia will be attending. 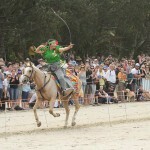 The twice World Horseback Archery champion, Norbert Kopczynski from Poland will also be competing. This event is only the second time in the world that an international Yabusame competition has been held outside of Japan. The first time a Yabusame event was held outside Japan, was last year – as part of the Port Douglas Carnivale celebrations in 2014. Yabusame on the Beach is a truly spectacular event to watch. 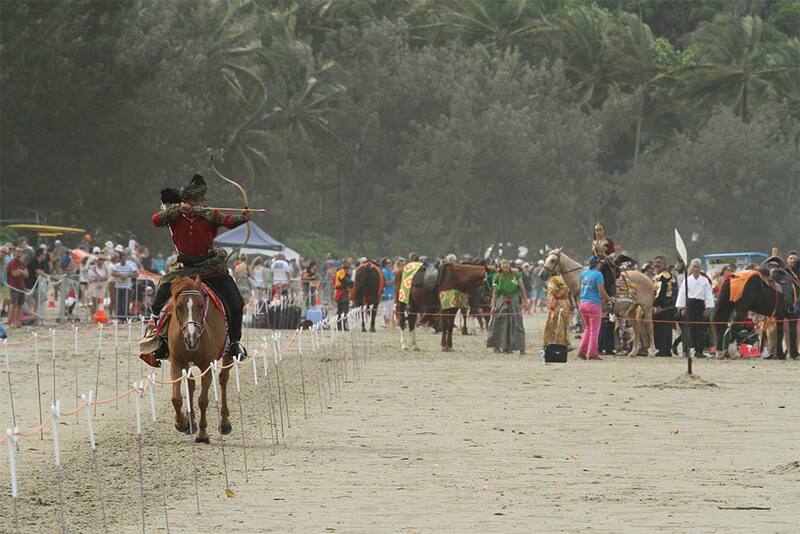 The horses and archers will be in traditional colourful costumes. We are very fortunate indeed to have the organiser of this world class event – Katrina Kruse-Australian Horse Archery Champion-as a local resident. 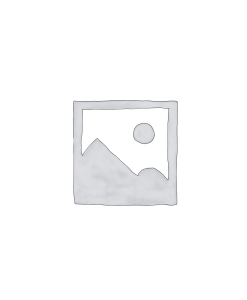 Yabusame on the Beach is a FREE event. After the Yabusame there will also be a jousting demonstration. Yabusame on the Beach commences at 11.00 am on Saturday 23rd May 2015. 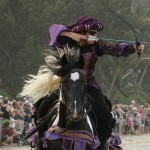 This entry was posted in Port Douglas News and tagged archery, Carnivale, Four-mile beach, free, horseback archery.